Gustavo Arruda is Global Director of Marketing at OpenSRS, a division of Tucows. With a strong background in digital marketing, Gustavo is responsible for the digital strategy worldwide for the storied technology company. He joins us from Toronto to discuss what it takes to work as a digital strategist in an international context. You can hear our conversation in the podcast in iTunes, Stitcher or Soundcloud or below now. Tucows has changed significantly since its inception in the nineties when it was famous for its software download business. While that side of the business still exists, the majority of the business is focused on 3 distinct units: OpenSRS, a wholesale registrar that is in the B2B space, Hover, a retail focused domain names registrar, and Ting, a US focused cellphone company that is now getting into the fibre business. Before moving to Tucows, Gustavo had a very diverse career, combining both agency and brand experience. 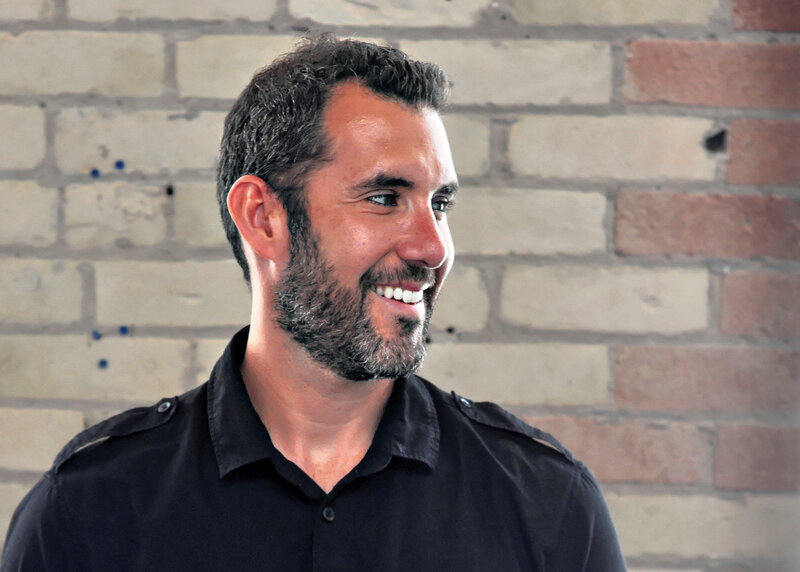 On the brand side he worked at Canadian Tire in a digital role as well as a senior role at the World Wildlife Fund. Tucows gave him the opportunity to work in a global context. This was extremely attractive for Gustavo, who moved to Canada from Brazil and who has always been fascinated by the differences in how people approached marketing in different countries. He sees his international background and multi-lingual abilities as being an asset in this role and in fact one of the reasons he was hired. Gustavo sees that the main difference between national and international marketing is that the behaviour and preferences of people is more pronounced. ‘Culture, language, tradition and technology need to be taken into account’. This is particularly challenging for an organization like Tucows that markets to people in 150 different countries. An example of these differences is the fact that users in India don’t use credit cards to top up their accounts. There is a strong preference for Paypal, something Tucows didn’t originally support. Adding this payment method led to a huge influx of transactions. Another example of these differences is local price sensitivities. OpenSRS has a $95 activation fee. This is not an issue for a company in the US, Canada or Western Europe, but it is a problem for those in Brazil, Indonesia and Malaysia for example. This led to a decision to use different price points for different markets, something that has yielded considerable results. The key is to recognize that a ‘one size fits all approach is not the right way for companies marketing internationally’. Another consideration on the marketing side is that while it’s all one Internet, there are considerable difference in platforms and channels in regions and countries, for example Yandex in Russia and Baidu in China. Starting exclusively on Google in English and simply translating doesn’t work, or at the very least it ‘often diminishes the effectiveness of what you are trying to accomplish’. The most effective way of marketing globally is by developing everything in the local language and with the local context in mind from the ground up. But this creates a resourcing issue for a company that operates around the world. In this instance, especially since Tucows works in the B2B technology space, it is better to market in English rather than try to do it in part since doing so creates user experience problems (for example, Spanish language campaigns and landing pages that end up with an English registration process). In effect, the macro-digital strategy is to go English but expand into language/country specific content as results and resources permit. Here, the prioritization of efforts is the main driver in the strategy. Gustavo does not see that there is a specific skill set that is key to success in a role as an International digital strategist. Rather, he see attitude and curiosity as being most important. It is critically important to be interested in cultural differences and to go out and experience these. In his opinion, ‘you can’t plan a global strategy just sitting in your office’. You have to ‘experience what your customers are experiencing’. It is also important to listen to the local sales people, the ‘eyes on the ground’ since they will give you a good sense of what’s going on locally. In his opinion, the opportunity to work as an International digital strategist is an amazing one. You get to travel around the world and engage with local users. But it’s also a very taxing career comprised of long trips, time away from family and jet lag. The key to success in this role is flexibility, making it unsuitable for those that are looking for a stable 9 to 5 career. Next week on octopus, we will explore the role of the European digital strategist with our next guest. Please be sure to comment below. I’d love to hear from you. Please subscribe for alerts about new episodes and content. Thank you for listening to octopus. I’m Nasser Sahlool.